For all the concerns that Trump's trade war and tariff increases could jeopardize corporate capital spending plans, resulting in a broader economic slump, a Special Question posed by this month's Philly Fed survey found that this is not the case; in fact when taking into account Trump's tax relief/fiscal stimulus just the opposite picture emerges. 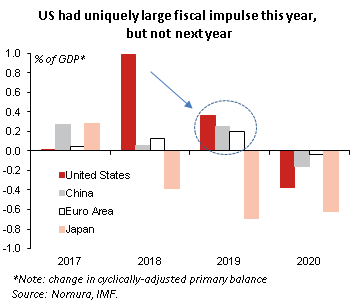 In Special Question #3 in the October Philly Fed survey, the regional Fed asks "How have each of the two factors, tax relief and trade policy (including tariffs), affected your expected capital spending for 2019 compared with 2018?" 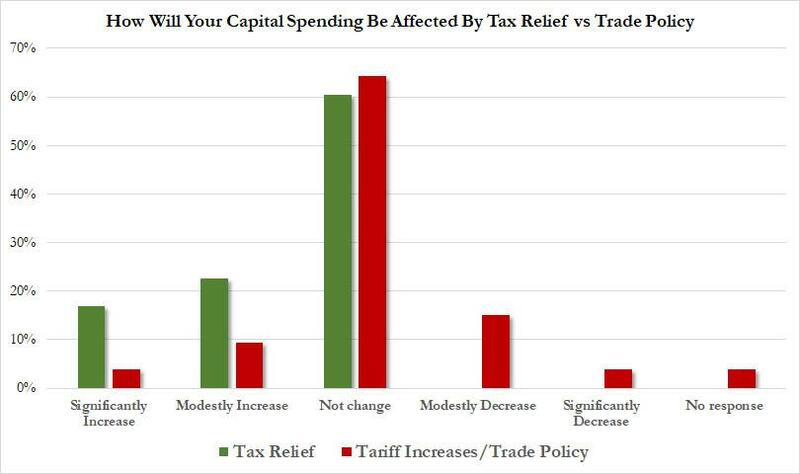 What it found was that while some 40% of respondents would increase CapEx as a result of Tax Relief, only ~23% would cut capital spending plans due to the adverse consequences and unpredictability resulting from tariff increases and trade policy. ... the Trade war with China has a long way to go.